Every year, the chairperson of the Pukerua Bay Residents’ Association reviews the progress of the year and reports to the Annual General Meeting. This year the committee continued to focus its activities on initiatives contained in the Village Plan. Our Village Plan guides much of the work we do in the community, bringing in support and funding from Porirua City Council (PCC) for our projects. This year our priorities with PCC were: the Muri Reserve community garden, road safety, and the Green and Gold trails. We were very pleased when PCC confirmed its Village Plan 2015–2016 budget for Pukerua Bay would fund the community garden ($5,000), the Green and Gold Trails ($10,000), safety measures on Muri Road ($25,000) and the building of a foot bridge under the road bridge on State Highway 1 ($35,000). The last two items were unexpected and very welcome. Pedestrian safety on Muri Road was made worse in 2011 when the closure on the Muri railway station meant more people were walking on the road to and from the Pukerua Bay station in the dark. We have been asking PCC for years for safety measures on Muri Road, and are very pleased this will be done. In the absence of a safe pedestrian crossing across the main road by the shops, the bridge under the SH1 road bridge will provide a safe crossing option for people coming down Grey’s Road. These projects are expected to be completed by PCC this financial year (ending June 2016). Unfortunately, one pedestrian safety project on which little progress has been made is the shared footpath and cycle track between the shops and Wairaka Road. We were expecting this to be done in the first half of 2015, and plans are ready for it. It has been held up at PCC by a lack of project management resources, and the Village Planning team is working to make progress on this for us. The Green and Gold trails have been on hold for some time while we have focussed on other activities. However, the Te Araroa Trust has been funded this year to complete the trail along the escarpment and into Pukerua Bay, and we will work to connect this with the Green and Gold trails. The resumption of work on the Te Araroa trail has changed our plans for part of our involvement in the trail. When Muri Station was closed, we were given the shelter on the northbound line for use in the community. KiwiRail moved it off the station and put it on a neighbour’s land, and we intended to use it as an shelter and interpretive centre along the trail. However, the Te Araroa Trust no longer needs it, and we now have to find an alternative use for it. Moving and renovating it will be expensive, and we have to decide on a suitable use for it. We are currently considering a proposal from the Hall Committee to operate under the auspices of the Residents Association, rather than the school Board of Trustees. Our 2011 Village Plan includes support for the Hall Committee to improve the hall as a community resource. This has been the major project we worked on this year, with Jonathan Harker and Geert van de Vorstenbosch leading the work on it. There is a keen group of people wanted to get started on the garden, but we have to negotiate with PCC to get access to the site and the right to use it for a garden. It appears likely that we will be given a licence to use the site for a garden, and we hope to be able to start work on it early in 2016. We have, with PCC’s help, negotiated access along the Muri Station platform to get materials onto the site. PCC has bought the materials needed to build a bridge from the platform onto the site, and will build it once we have the licence to use the site. The next steps are to confirm with Greater Wellington Regional Council that we can take possession of the remaining shelter building on the platform. This has taken up quite a bit of our time in the past few years, and this year was no exception. The Local Government Commission issued its proposal for the Wellington region, which we responded to. We surveyed the Pukerua Bay community, and included the views we received in our written submission on the proposal. We also appeared before the Commission to support our submission. In general, we supported the proposal, which has been our view for some time, but with a number of reservations to protect the Village Planning process and our access to local representatives. Although it seemed likely that the proposal would not gain enough support in a referendum to succeed, we were disappointed that support for amalgamation was not tested through a referendum. Security around homes in Pukerua Bay come up as an issue at the end of 2014, with a number of burglaries in the village. Jonathan Harker organised for the Police to come to a community meeting to talk about Neighbourhood Support groups, and support people who wanted to set one up. The outcome of this meeting was that several streets (or sections of streets) now have Neighbourhood Support Groups established. If you are interested in setting up a Neighbourhood Support Group, please contact Senior Constable Simon Bygate (021 190 9637 simon.bygate@police.govt.nz). Once again, we supported the Beach Bash in early January, paying for publicity materials and helping distribute them around the community. This is still a popular event, and we will continue to support it. This is an ongoing issue in Pukerua Bay, and we continue to look for opportunities to make it safer to travel through and around Pukerua Bay. As well as the initiatives funded through the Village Planning process, we are in communication with NZTA about safety at the southern end of the village. In particular, we want to reduce the speed of many vehicles entering town so they are travelling at the speed limit when they reach the Grey’s Road intersection. We have also had a proposal from a community member to improve pedestrian safety on Rawhiti Road outside the school, and we are pursuing that with PCC. We are very pleased that work has started on building the Transmission Gully road. This community has fought hard for this for many years, and it will make travelling through Pukerua Bay much safer when it is completed. The footbridge under the SH1 road bridge will also improve pedestrian safety, especially for people from Grey’s Road, Elizabeth Street and St Mary’s Estate. The past 12 months have been relatively quiet for Civil Defence (this should be interpreted as a good thing!). There have been two events where Civil Defence was involved. In March the Porirua Emergency Response Team (PERT) carried out a citywide activation exercise. Many of the Civil Defence Centres (CDCs) around Porirua were activated for several hours to test the resources allocated for each CDC and communications with the Emergency Operations Centre (EOC). Members of the PERT team led the activation of many of the CDCs but some were staffed by either CDEM volunteers (those that have completed the basic training) and one was even run by members of the public. The Pukerua Bay CDC (Pukerua Bay School, Rawhiti Road) was opened and set up and communications with EOC were successfully established. The outcome was that most CDCs operated well and communications by and large are good. The other event of note was the storm event of May 14th. The Porirua EOC was activated (without a Declaration) and PERT was again involved with manning communications at EOC and out in the field performing reconnaissance and sandbagging. Pukerua Bay was affected in the form of a sinkhole outside 4 Te Kura Rd, surface flooding and people not being able to get to work or get home due to flooding outside Pukerua Bay. These types of events are good reminders for everyone to make sure their households are prepared to look after themselves if necessary. If you want more information on how to prepare your household have a look at the It’s Easy Prepared Households Edition (download a PDF copy here). If you’d like a hardcopy please feel free to get in touch with the Pukerua Bay Civil Defence Co-ordinators Geert van de Vorstenbosch (021 036 7606, geertvandevorstenbosch@gmail.com) or Robyn Moore (022 652 8608, robyn@j.co.nz). Please also feel free to contact either one of them if you are interested in joining the Pukerua Bay Community Response Team or PERT. We made a submission to PCC’s Long Term Plan for 2015–2025, in which we encouraged the Council to make greater use of partnerships with community and groups, such as schools, to achieve their objectives. We also supported a gradual move to balancing the books, rather than a rapid balancing, which could reduce services. We also submitted on the proposal to restructure local government in the Wellington region, and appeared at the hearings run by the Local Government Commission to explain our views. We would encourage everyone in the community who is interested in the plans of local councils to review their proposals and make submissions on them, as residents can influence decisions, and councillors appreciate know what people’s view are — it helps them make their decisions. We have run a couple of these to weed the garden at the intersection of SH1 and Wairaka Road, which have been sparsely attended by residents. Our latest attempt raised the issue of traffic safety when working next to the state highway, and we are now working with PCC to put in place a process that will allow us to have larger numbers of people working safely close to the state highway. This could result in greater involvement by the Council in these events. I want to thank the committee members — June Penhey, Jonathan Harker, Geert van de Vorstenbosch, Pauline Morse, Kate Dreaver and Dagmar Pesendorfer — for their contribution this year. We hope to recruit some more members this year, as that will allow us to achieve more things for the community. I also want to thank Porirua City Council for the support they give us. We have good relationships with the Northern Ward councillors (particularly Bronwyn Kropp who is our PCC Liaison Councillor who attends most of our monthly Committee meetings) and officers — particularly those in the Village Planning Programme — and their support allows us to achieve the goals established in our Village Plan. I also want to thank Regional Councillor Jenny Brash for her continued interest in what we are doing. This year the committee has focussed its efforts in the environment and recreation area, and has worked with local authorities and other groups to support local residents and the community. This remains the centre of much of the work we do for the community. Our priorities under Porirua City Council’s Village Planning programme for this year have been the community garden, the Green and Gold trails, and the shared cycle way/footpath between the shops and Wairaka Road. A keen group of local residents has come together, led by Jonathan Harker, to establish a community garden in Pukerua Bay. Their preference is to establish a “food forest” – a permaculture-style garden. The likely site of this is on Muri Reserve, and its establishment relies on the Residents’ Association making progress on its wider plan for developing the reserve. We have made less progress on the Green and Gold Trails than we had hoped to make, largely because of the lack of time committee members have had to dedicate to it. Before he left Pukerua Bay, our former chair, Pat Hanley, worked with the other parties to make some progress on the information that would be on the posts at the significant sites. The Te Araroa Trust has not finished the walkway between Paekakariki and Pukerua Bay, and this will be integrated with the Green and Gold Trails when it reaches the Bay. Despite its slow progress, this remains a priority for the Residents’ Association. The shared cycle way/footpath between the shops and Wairaka Road is awaiting approval from NZTA, and is now expected to be built early next year. We were very pleased with the improvements PCC made to the playground at the skate park. Pukerua Bay is well-served by playgrounds, and we now have two recently refurbished playgrounds for local children. Developing Muri Reserve into a more accessible recreation area is one of the projects identified in our 2011 Village Plan. Part of the reserve is used by walkers and as a children’s play area and dog exercise area, however, much of it is inaccessible and not used by locals. It has potential as a soft recreation area, with paths and rest areas. It is the preferred site for a community garden/food forest, and has ecological values that need protecting. We are currently consulting the community on what activities would be suitable there, and intend to make more progress on that in the coming year. 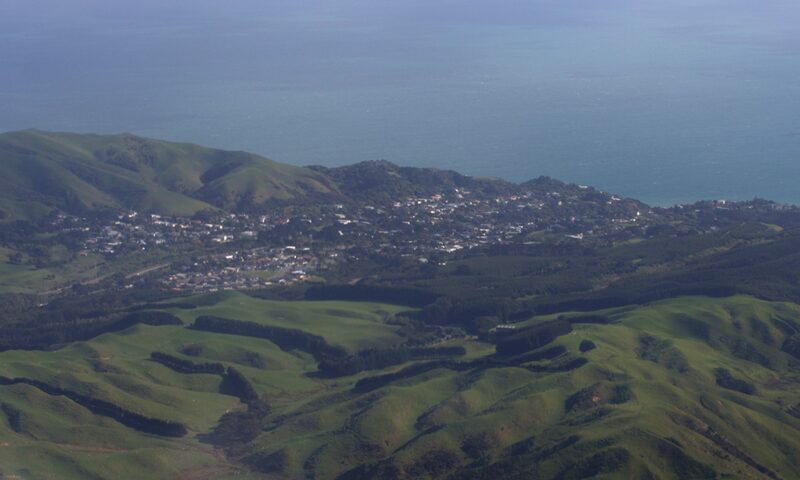 This is a long-term plan PCC has to allow development in the northern parts of Porirua, including possible residential development immediately to the south of Pukerua Bay. Any development would depend on commercial developers being interested in the sites and would not happen until the Transmission Gully road opens, but it does potentially have impacts on Pukerua Bay, and we will monitor any possible changes in this area. A member of our committee, Ted Coats, represents land owners on the Significant Vegetation Consultative Group that was established as a result of the backlash to PCC’s proposal last year to impose tough obligations on land owners with significant vegetation on their properties. PCC is developing a policy on significant vegetation, and we will continue to watch this issue as it could affect many Pukerua Bay landowners. We are working with PCC on a proposal to give residents choices on how street trees are pruned in the Bay. We are in the early stages of this, and will be developing a consultation method with PCC. This could be a trial for how other communities in Porirua decide how they want street trees maintained. We were very pleased to see the success Pukerua Bay School had in its Tag Free Kiwi anti-graffiti programme this year. This came about following discussions we had with PCC on how to eliminate graffiti at the skate park, and saw artists working with the school children to develop their own community art and drama, including a new mural at the skate park. Graffiti has been a persistent and expensive problem at the skate park since it was rebuilt, and programmes like this can help to reduce the amount of graffiti in the community. This is a good example of how we can use our networks to be a catalyst for other groups in the community to work together. This past year has been a bumper year for native tree fruits, and has led to a jump in the local rat population. We have developed a proposal to install rat bait stations across Pukerua Bay to reduce the rat population, and protect the native birds whose populations are increasing. This is being rolled out now. Draft Local Alcohol Policy for Porirua – we argued for flexibility in the policy so communities could find solutions that suit that community. Place-making events organised by PCC for making the central city area more attractive. The committee continued its support for the Boxing Day “Beach Bash” on the foreshore. This was an even more successful community event than last year, and we will continue our support for it. This has been an uneventful year for emergencies. As part of its work to build neighbourliness and connectedness in the community, the Pukerua Bay Civil Defence team contributed to the Boxing Day Beach Bash and promoted Neighbours Day. The team is concerned with the changes to regional Civil Defence arrangements that see volunteer groups finding it more difficult to get essential things like safety equipment and advanced first aid training. The local team and the Residents’ Association are concerned that the responsibility for paying for these items appears to have shifted to local volunteer groups, which makes them more difficult to obtain. We are lucky we have a keen group of local resident volunteers, led by Robyn Moore and Geert van de Vorstenbosch, who contribute their time to ensuring the community is prepared for natural disasters and emergencies. I want to thank the members of the executive committee – Ted Coats, June Penhey, Gill England, Kate Dreaver, Geert van de Vorstenbosch, Dagmar Pesendorfer, Pauline Morse, Robyn Moore and Tia Beaufort – for their work this year. In particular, I want to thank the members who are standing down – Ted Coats and Gill England – for their contributions. The committee’s success depends on the members’ efforts and the support we get from other people who help us in our work on behalf of the community. These include Jonathan Harker, Tony Jackman, Margaret Blair, Gay Hay, Cath Pearson and the members of the Civil Defence team. I want to thank the Porirua City and Greater Wellington Regional Councillors and staff we work closely with. We are grateful for the support we get from the Northern Ward Councillors (Tim Sheppard, Euon Murrell, Anita Baker and Bronwyn Kropp), PCC’s Village Planning Manager Ian Barlow, GWRC Councillor Jenny Brash, and Bill Inge and Richard Witheford-Smith from Porirua City Council. We have very good relationships with them, and they always support our work and the Pukerua Bay community. We greatly value the assistance – in both time and funding – we get from PCC through the Village Planning Programme. The Committee has had another busy year working with local authorities and other groups to support local residents and the community. The Residents Association has three projects that Porirua City Council has allocated funding to this year: the Green and Gold Trails, the shared cycle way/footpath between the shops and Pa Road, and a community garden. The Council’s Village Planning Programme has had some changes this year as a result of its success – there are now 12 communities operating under the programme, and the budget has remained at $500,000 a year. PCC has changed how it liaises with communities and manages the programme; however, PCC is committed to keeping the programme running and properly resourced and managed. As one of the earliest communities in the programme, Pukerua Bay is well-established and does not need as much financial support from the Council as some newer communities in the programme do. However, our experience with the programme means we are in a good position to achieve our aims. We remain strongly committed to it as a way of communities identifying and achieving their goals to build the sort of community they want. The funding for one of our priority projects, the shared pathway next to State Highway 1, remains a challenge and we will continue to support PCC as it attempts to access other sources of funding, such as central government and Greater Wellington, to make the connection between Te Ara Harakeke and the cycle track to the north of Pukerua Bay. The was an extremely successful event in late August, with around 75 people turning up to clean decades of rubbish out of the Raroa Reserve. This was a wonderful example of co-operation between residents and PCC, which supplied equipment, staff and trucks to remove the 20 loads of rubbish taken from the reserve. We had worked with Pukerua Bay School to help them organise a students’ art competition to design posters to be displayed at reserves around Pukerua Bay. The clean-up was more successful than we imagined it might be, and everyone who took part was very encouraged by its success. Credit should go to Ted Coats, Gay Hay and Kate Dreaver from Pukerua Bay and Bill Inge, David Redmayne and Geoff Chevis from PCC for planning this event. This clean-up came out of our Vegetation and Landscape Plan to identify areas of public land and who will maintain them. We are currently identifying other areas where it can be repeated in the coming year. In early December we had the unveiling of the Pou Tangaroa at the southern end of the foreshore. Around 130 people turned up for the dawn blessing and celebration of our care and shared guardianship of the Bay between the Pukerua Bay community, Ngati Toa Rangatira and Porirua City Council. This magnificent carving was done by local carver Herman Salzmann and is admired by many locals and visitors. The Green and Gold Trails are going to be integrated with Te Araroa Walkway as a New Zealand trial. The trails have been mapped with all the potential sites marked, which will bring the trails together. Four marker posts have been put in at sites, but there are many to go. We are developing a system for identifying the positions and posts with information that can be linked to more detailed interpretive information on a website. This is likely to be a trial for how Te Araroa Trust can integrate its trail into local trails around the country. We expect to make much more progress on this project this year. We received some very good news in August on the issue of permanent protection of the fishery in Pukerua Bay. We had been working with Ngati Toa Rangatira on getting permanent protection when the current regulation was expected to expire in September 2014. When the regulation currently restricting fishing to hand-held lines only came into effect in 2009, we were told it would be for a period of five years. However, we have now been reassured by the Ministry of Fisheries that the current regulation has no expiry date and there is no need to make another application to extend the protection. This has been backed up by an examination of the wording of the regulation. However, poaching still takes place in the Bay, and we are working with beach residents and the Ministry of Fisheries to make sure the restrictions are well communicated to people wanting to fish in Pukerua Bay, and that it is easy for people to report suspected poaching to the Ministry of Fisheries. We have acquired two new pieces of equipment this year that residents can use. We have purchased a new Kipor portable electrical generator as a back-up in the case of a civil emergency, and for use at community events. The Pukerua Bay civil defence group is maintaining the generator so it is available for use. The Plimmerton Rotary Club donated a new AED defibrillator to the Residents Association. The defibrillator has been installed on the new toilet block by the shops on the main road. This was a very generous donation, and we are very grateful to the Club for its gift. This is available for anyone to use in case of an emergency. We are organising training for members of the community, including people who work nearby and members of the civil defence group, who would like to learn how to use it in case someone suffers a heart attack. We will be advertising this training when it is organised. There has been less activity on this issue this year, although the Wellington Region Local Government Review Panel released its report in October 2012 recommending a preferred model for local government in the region. Porirua City Council and Greater Wellington Regional Council submitted a proposal to the Local Government Commission, which the Residents Association wrote in general support of, while stressing the need to ensure community democracy was protected and communities continued to have good access to councillors and council officers. It is likely that the Local Government Commission will put out a draft proposal early next year, and we would encourage all residents to examine it and give their views on it. Porirua City Council Annual Plan — this included support for the proposal by the Porirua Economic Development Group for an efficiency audit, a proposal that was accepted by PCC. PCC’s significant urban vegetation sites district plan change proposal — we told PCC that its proposal took an unnecessarily heavy-handed approach to protecting significant areas of native vegetation and its approach was likely to fail. We recommended a partnership approach, and we were pleased to see that PCC is reconsidering its approach. We will keep a close eye on this issue, as it could affect many landowners in Pukerua Bay. Village Planning forum and bus trip run by PCC for residents’ associations. The committee supported the organisers of last Boxing Day’s ‘Beach Bash’ on the foreshore. This was a very successful community event, and the organisers plan to repeat it this year, which we are again supporting. Our active team of civil defence volunteers continue to organise, train and prepare under the leadership of our Civil Defence Co-ordinator Robyn Moore. Regular training and real-life exercises associated with the recent earthquakes in Wellington have allowed the Community Response Team to practise the Pukerua Bay Emergency Management Plan. They are continuing to build on the awareness in the community to increase preparedness for natural disasters. We remain concerned about the future of the Pre-school and want to ensure this valued community service remains available to residents. We have kept in close contact with the local parents committee and Wellington Free Kindergarten Association, and will support them in their attempts to maintain this service in Pukerua Bay. The amount of graffiti in the community, particularly that associated with the skate park, is something many people in the community find unacceptable. We have been in discussions with PCC’s Graffiti Management Co-ordinator about the problem and he is planning to work with the school next year on an art project for the skate park. This work is connected with our ongoing environmental work as exemplified by the Raroa Reserve clean-up. I want to thank the members of the Executive Committee — Ted Coats, June Penhey, Gill England, Kate Dreaver, Geert van de Vorstenbosch, Dagmar Pesendorfer, Pauline Morse, Robyn Moore and Jonathan Jull — for their work this year. The Committee’s success depends on their contribution and the support we get from other people who help us in our work on behalf of the community. These include Tony Jackman, Margaret Blair, Gay Hay, Pat Hanley, and the members of the Civil Defence team. On behalf of the Association and the Committee I also want to thank the City and Regional Councillors and staff we work with, and who attend our meetings and support the community. The productive working relationships we have with them are very helpful and, in particular, we value the support we get from PCC through the Village Planning Programme.